Run, Duck and Jump! Games to do just that! 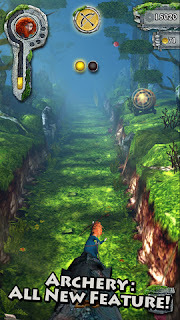 I'm sure many of you have heard of the iPhone game Temple Run by Imangi Studios. Well today, I am going to introduce 2 more games that have the same concept as them. These games are Temple Run: Brave and Subway Surfers. What can be so exciting about running from demon monkeys, collecting coins and navigating through obstacles? Nobody knows, but we still spend hours playing this game. Temple Run: Brave is also by Imangi Studios, but co-produced by Disney. There are a few essential differences between Temple Run and its counterpart, Temple Run: Brave. In the Brave version, you play as Merida, also the main character in the Disney/Pixar movie "Brave". Also, the Brave version has one added dimension to the game which is the "Archery" which can help you earn extra coins along your run. Apart from that, there will be new maps inspired by the movie "Brave". For hard-core fans of Temple Run, I would definitely recommend this game for another exhilarating experience. 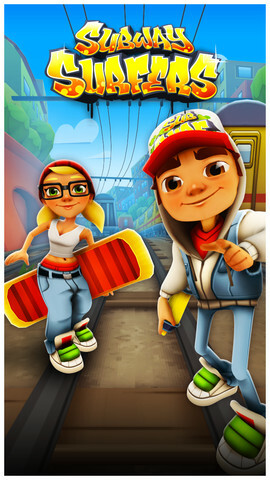 Another game is Subway Surfers by Kiloo and Sybo Games. 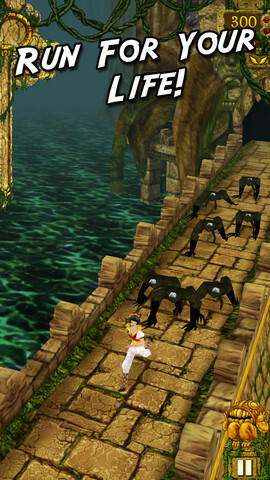 Just released in May 2012, this game is slightly different from the Temple Run's type of gameplay. Subway Surfers add an extra dimension to the running game play as it allows you to run on top of Subways and instead of one road to follow, Subway Surfers has 3 lanes for you to run and choose from. This makes the game even harder in my opinion compared to Temple Run. However, the graphics and the plot of the game make it all worth it. Just a piece of advice to all the gamers who just downloaded Subway Surfers, the starting of the game can be really slow but just persevere and pretty soon you'll find the joy in the difficulty of the game! This is Dennis signing off, stay tuned to me every Wednesday and keep on Pwning! Article by: Dennis the Menace Lee.